We have written before about the the Silicon Valley Electronics Flea Market, one of our favorite places to go treasure hunting. At this weekend’s flea, we came across a cache of beautiful old diodes, including some in rather unusual packages. The Motorola 1N3827 diode above isn’t in a particularly unusual package, but it is gleaming gold, all the way down to the crimped wire leads. The 1N3827 isn’t particularly unusual in its electrical characteristics either. But, like the other types that we’ve gathered here, the 1N3827 is painfully obsolete. A quick search shows that a few replacement devices are available, but are generally in short supply and at prices approaching $50 in some cases. 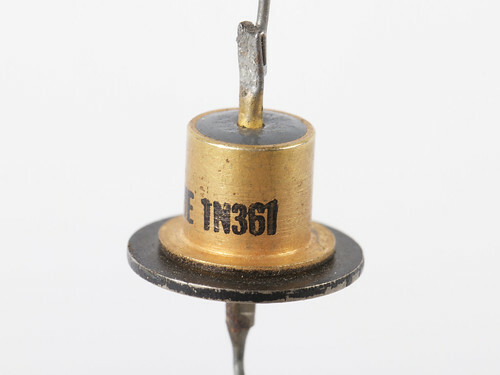 There were several varieties of top hat diodes, like this 1N361. Interestingly, these devices are not consistently oriented. 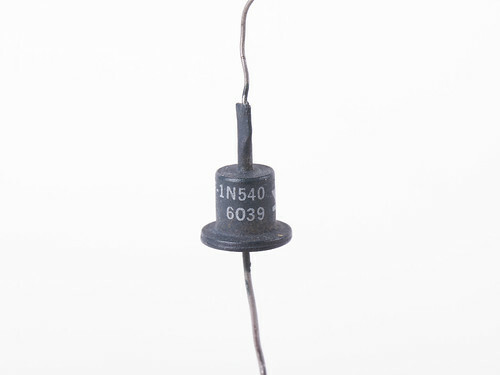 This 1N4720 rectifier has the brim on the anode end, whereas most of the rest we found had it on the cathode end. All of them had the orientation clearly marked. This one really looks like a top hat. It’s a 1N540 that appears to manufactured by GE for the US Air Force in week 39 of 1960. 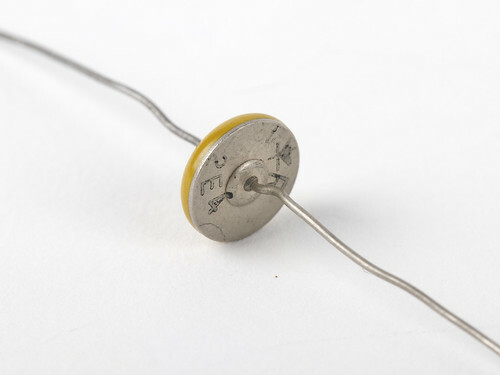 Another oddity was this 2E4 diode from International Rectifier. It looks just like a candy button. According to radiomuseum.org, this cute little guy is rated for 400 V, 2A. And finally, a package type that can still be found today. 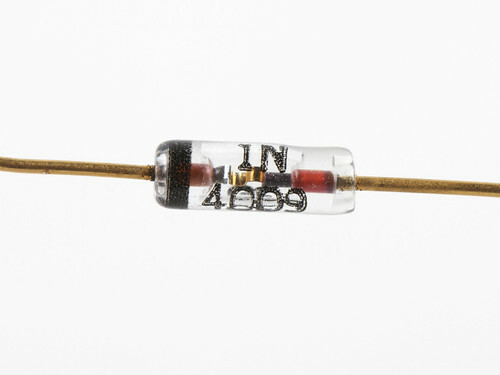 While the package is not particularly unusual— save for the gold leads —it is enlightening to look inside this glass encapsulated 1N4009 zener diode diode. The red sections are surfaces of metal (possibly kovar) that are directly embedded within the glass. If you look very closely (or click over to flickr for the huge version), you can see the S-shaped ribbon of gold, and even identify the shiny semiconductor die to the left of the ribbon. 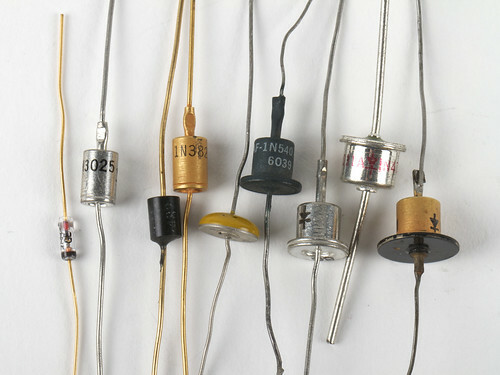 You can see more photos of these old diodes in our photoset, and you can see some of our other old and interesting components— which make great wine charms —here. This entry was posted in Electronics, EMSL Projects, Vintage Technology and tagged diodes, vintage tech. Bookmark the Permalink. To my Knowledge the 1N4009 is a normal diode not a Zener diode. The Fairchild data sheet claims that this is a high speed diode with an operating reverse voltage of 25V and a breakdown voltage of 35V. 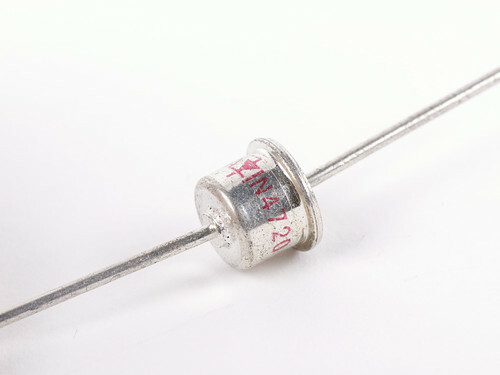 Actually I got confused with the 1N4001 – 1N4007 row (more or less the same diode with different reverse-voltage ratings). I thought the row continues up to 9. Re: orientation of top hat (and stud mounted) diodes. It is not uncommon to find two diodes with the same specs, different number, and one of those two is reversed polarity. 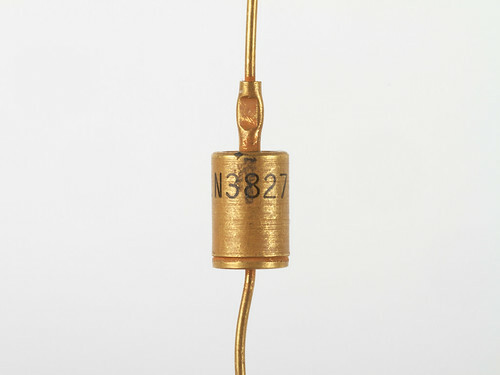 This enables you to bolt (on in the case of top hat -pressure fit) the tow together on a heat sink to for the top or bottom half of a bridge diode, using the mechanical connection as the electical connection. The backwards diodes are called reverse polarity. Pretty diodes. 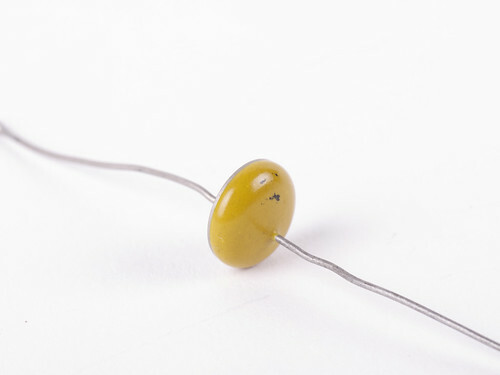 Germainium diodes are real collectors items, but I imagine anyone who makes a hobby of collecting germainium diodes has a rather pathetic life. I’m thinking of going after mercury rectifiers – living on the edge….